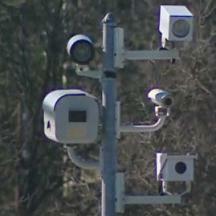 Two bills pertaining to speed cameras have been pre-filed for the 2014 general assembly which begins in January. Require that all speed camera citations provide sufficient information to verify the vehicle speed based on time-distance calculations. Impose a fine for the issuance of erroneous citations, payable into the transportation trust fund. Cardin's bill may not fix every problem with Maryland's speed camera law. However The Maryland Drivers Alliance had supported a version this bill in the house last year, and also supported a bill sponsored by Senator James Brochin in the senate which contained some similar provisions, because we believed they represented the best ideas to protect the rights of drivers which stood any chance in the current legislature. Delegate Conaway pre-filed another bill labeled as HB 71, which if a citation were found to have been issued in error, would order the court to impose a $125 penalty on "the person responsible for maintaining the speed monitoring system" payable to the recipient of the ticket. Conaway sponsored a similar bill last year. Last year saw a flurry of legislation similar to these prompted by revelations that Baltimore City's speed camera program had issued erroneous citations based on incorrect speed readings. Complaints were also raised that the now common practice of paying contractors a fee based on the number of tickets issued violated the intent of state law, a position affirmed by a statement by the governor. Cardin's bill was not permitted to come to a vote in the House last year. Last year's session also saw a speed camera repeal bill, sponsored by Senator Pipkin in the senate and Delegate Smigel in the house. The repeal legislation was not permitted by committees in the house and senate to come to a vote. Last session the House Environmental Matters committee rejected all ideas for speed camera reform legislation which the Maryland Drivers Alliance had supported when a coalition of organizations which profit from speed cameras opposed changes to the law. Instead the committee leadership decreed that the only speed camera bill which would be passed was a "phony" reform bill sponsored by committee vice chairman James Malone. Malone's bill was essentially written based on input from local governments which profit from speed cameras (such as Montgomery County), who spent taxpayer money lobbying against meaningful reform. In our opinion Malone's bill was written to answer the question "how do speed camera programs do a better job of public relations" without really changing the way they work. After weeks of discussion and hearing on other legislation, Malone's bill was dumped in a steaming pile on the house floor at the very end of the 2013 legislative session, when it was too late for anyone to closely scrutinize its provisions, making it essentially a "take it or leave it" proposition. Malone's bill did not clear the senate before the end of the session. Whether passage of a meaningful speed camera reform legislation has a chance in the current legislature this year is questionable. Speed Camera contractors, local governments which profit from cameras, and taxpayer funded lobbying groups such as the Maryland Association of Counties, have been lobbying hard to ensure that any bill which passes does not contain any real "teeth" and has built in loopholes to allow "business as usual" to continue. Based on past experience the leadership in the House f Delegates appears to believe they can pass off a bill containing only 'cosmetic' changes as meaningful reform and thereby deceive the public into believing that the many serious problems with Maryland's local speed camera programs are fixed. Last year, the legislature proved that they are not committed to making real changes to the way programs are run or the process by which citations are adjudicated which might really make Maryland's fatally flawed program less bad. By rejecting meaningful reform legislation, the leadership of the General Assembly proved they cannot be trusted and that they are not committed to making a the system which is as fair as possible. In doing so they have proven why the state's speed camera law should simply be repealed.